Health and Human Services secretary Tom Price resigned today, following the failure of Republicans' efforts to repeal the Affordable Care Act and the revelations that he spent more than $1 million of taxpayers' money on luxury travel. The White House announced that Don Wright, currently the Deputy Assistant Secretary for Health, will become the acting HHS secretary. What's next: Speculation about who would succeed Price permanently has focused on Seema Verma, who oversees Medicare, Medicaid and parts of the ACA. She's a close ally of Vice President Pence. Former Louisiana Gov. Bobby Jindal and Food and Drug Administration commissioner Scott Gottlieb are also seen as potential candidates. I have spent forty years both as a doctor and public servant putting people first. I regret that the recent events have created a distraction from these important objectives. Success on these issues is more important than any one person. In order for you to move forward without further disruption, I am officially tendering my resignation as the Secretary of Health and Human Services effective 11:59 PM on Friday, September 29, 2017. Price's stock with President Trump fell significantly after Republicans' repeal-and-replace legislation died in the Senate. 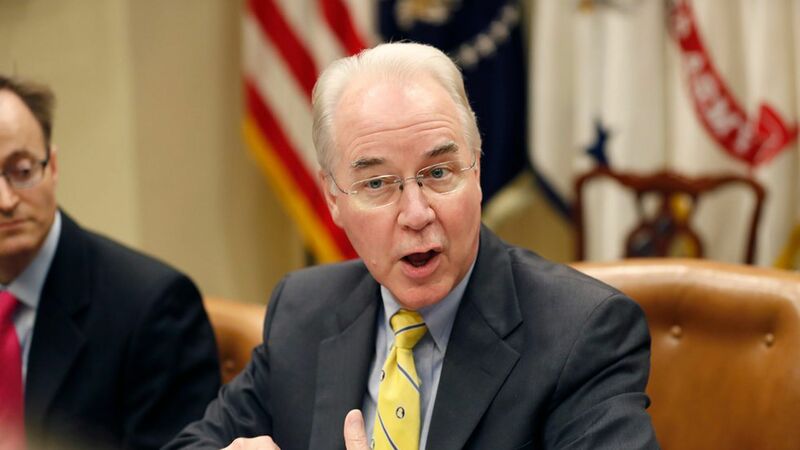 Price, a former six-term congressman, got the HHS job in part because of his ties to Capitol Hill, where Trump had hoped he would be the administration's point man on an ACA overhaul. Price's travel on private jets, at taxpayers' expense, only made his job more tenuous. Politico identified 26 times Price chartered private flights for official business, for a total cost of more than $400,000. Those flight often covered short routes for which commercial flights were readily available, and Price sometimes tacked personal business onto his official travel. Price's offer to pay back a small portion of those flights — "my seat," as he put it — didn't help extinguish the controversy, and was followed by revelations that he also used military jets for travel to Europe, bringing his total airfare tab to more than $1 million. Trump is notoriously unhappy with bad press, and Price got a lot of it. He even opened the floodgates to a broader investigation into Trump Cabinet appointees' use of private airfare and other eyebrow-raising spending. Lasting legacy: Price might not have gotten ACA repeal over the finish line, but even in his short tenure, he was able to undermine the law significantly. Under his leadership, HHS waged a PR campaign against the ACA; slashed funding to help promote enrollment; and directed regional department officials not to assist state-based enrollment efforts. There's a good chance those efforts will successfully tamp down enrollment, and lower enrollment — especially among the healthier people who are less likely to investigate health insurance on their own — can legitimately weaken the ACA.